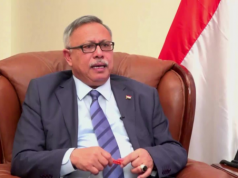 Rabat – In January last year, Morocco joined the African Union after three decades of absence. “It is so good to be back home, after having been away for too long”. 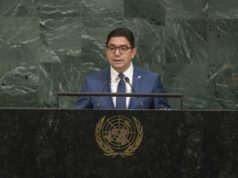 Such were the words of King Mohamed VI as he spoke to his African counterparts on the “historic day” that marked Morocco’s readmission to the continental body. And one year later, it seems that it is indeed “good to be back home.” Morocco, in effect, just one year after its readmission, was elected, earlier today, to North Africa’s seat in AU’s Peace and Security Council. Morocco will take over Algeria’s place in AU’ Peace and Security Council, as the latter, which held North Africa’s seat in the organ from 2016-2018, chose not to run for the renewal of a mandate that ends this month. Speaking to the press after this election to one of “AU’s most strategic organs”, Nasser Bourita said that Morocco’s election is a vibrant testimony to the trust that African leaders have in their Moroccan counterpart, a result, he added, “of the king’s commitment to solidarity” in the continent. 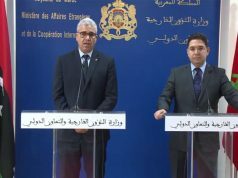 In what was his first public reaction to the election, Bourita stressed that “this important election” evinces the expanding credibility that the kingdom has secured in the continent. That credibility, Bourita said, is the culmination of “King Mohamed VI’s genuine and constructive implication” in vital policy concerns for Africa. 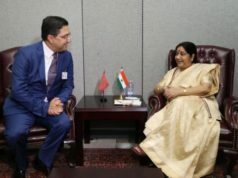 “Morocco is one of the rare countries to have participated in many peace-keeping operations”, Bourita said, upbeat, while adding that Morocco will use its two-year mandate to ensure stability and security across the continent. 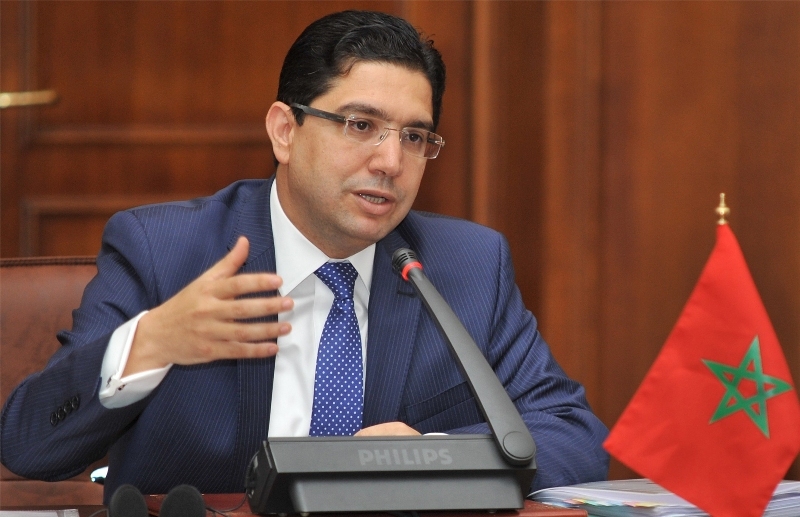 Bourita spoke of some “opposing forces” that had tried to block Morocco’s accession to the seat, stressing that winning this “strategic seat” will allow Morocco to “impede all manipulations and instrumentalizing strategies” that “some parties” have been deploying for the past years. This win has a particular significance considering Morocco’s very recent return to the Panafrican organization, Bourita also said, underlining that, as the king Mohamed said while joining the AU, “Morocco is not joining to divide, but to share and contribute.” It is this “royal orientation” towards peace and cooperation that will be the driving force of Moroccan diplomacy in AU’s Peace and Security Council, Bourita concluded. 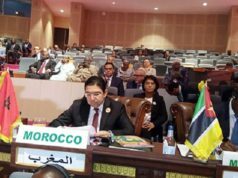 Meanwhile, some specialists and concerned actors have saluted Morocco’s presence in the Panafrican organization, calling the kingdom “a positive force”. 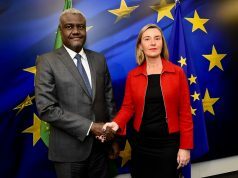 Adama Gaye, a renowned Senegalese journalist, scholar and political commentator, said that Morocco’s presence in Africa’s strategic affairs can prove fruitful in meeting the continent’s economic and security concerns.